Soda can stoves are awesome. This one is a work in progress, and I didn't do a good job fitting the cans together, so I may need to start again. The good thing is that they're durable but also easy to replace from scratch if necessary. 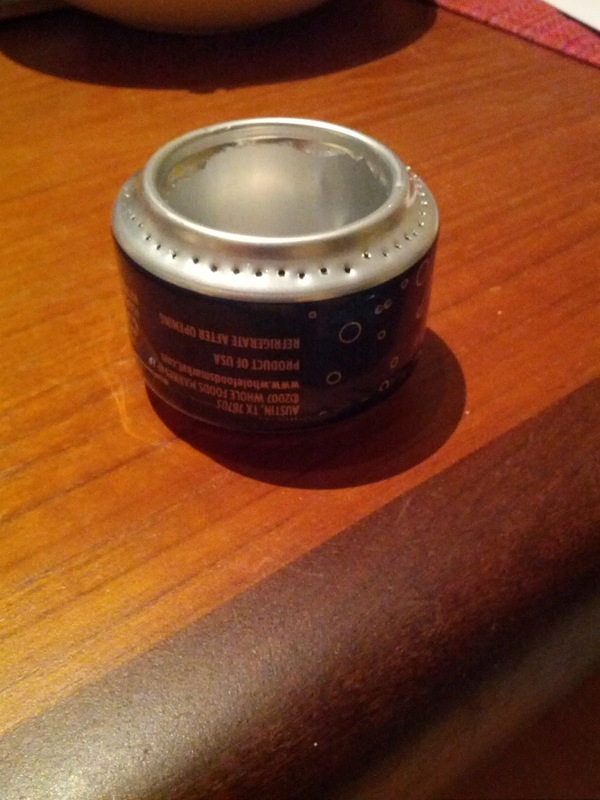 I'm unconvinced by the whole alcohol stove thing. I've had two, both a soda can model (actually, it was catfood, but whatever) and a larger commercial model. They worked okay, but took forever to cook anything and used a lot of fuel. Extrapolating... the fuel got heavy. But it's fun to mess around with, so that's always fun. I switched from a whisperlite to a soda can stove on the AT and never looked back. It cooks pretty fast (but burns stuff to the bottom of a thin titanium pot less quickly than white gas.) And no priming is a plus (I never enjoy dealing with white gas before I've had my coffee in the morning at least.) In really cold weather, alcohol would probably not be a win though. Dan convinced me of this after the AT and even gave me his old commercially produced alcohol stove. It was great at boiling one cup of water at a time, which is perfect for my usual trail meals (couscous or things like that, nothing that requires cooking exactly). It doesn't work well for larger volumes of water. In medium-cold weather I just stick the fuel and the stove inside my shirt for a while to warm up. Haven't tried it in winter, though. You should check out a "Pocket Scribe" for poking said holes... About $10 on Amazon, and should be fine enough for poking small holes... 'Starrett 70A Pocket Scriber With Hardened Steel Point" re-sharpenable, and, very... pointy. That is totally exactly what I want. Thanks!